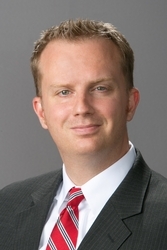 Matthew L. Devine is an associate in the Yardley, Pennsylvania office of Hill Wallack LLP, where he is a member of the Venture Capital & Emerging Markets, Banking & Financial Services, Business & Commercial Services, and Public Finance practice groups. Mr. Devine concentrates his practice in business and financial transactions for clients in both the public and private sectors. He has experience working with entrepreneurs, investors, financial institutions, and closely-held businesses. He has also designed and co-taught a course at Temple Law School focused on entrepreneurial finance. Prior to joining the firm, Mr. Devine served as a law clerk with Robin Hood Ventures, one of the region’s largest angel investment networks. Additionally, he has advised a major regional foundation on the development of its impact investing portfolio and has experience working with mission-driven lenders and other community development financial institutions. One of the earliest staff members of the first Obama for America campaign, Mr. Devine served nearly three years in the Obama administration at the United States Department of Education. Mr. Devine is admitted to practice in Pennsylvania and New Jersey. He received his J.D. from Temple University’s James E. Beasley School of Law and his Masters of Public Affairs and Politics from the Edward J. Bloustein School of Planning and Public Policy at Rutgers University. At Temple, he served as Executive Editor of the Temple Political & Civil Rights Law Review and was named a Rubin Public Interest Law Honor Society Fellow for providing over one hundred hours of pro bono legal service during his law school career. Mr. Devine obtained his Bachelor of Arts in Education, History, and Political Science from Rhode Island College.